Professional and well groomed entertainer who interacts with your guests, and keeps them engaged. A true Master of Ceremonies (MC), who can help coordinate your entire event. Professional grade equipment, that is reliable, and top quality! Music available from the 1940's to today's current hits. An Initial meeting with you to assist in organizing, planning, and to discuss specific details of your event (upon request). A week prior to your event, we like to meet to finalize everything, and go over any changes. Interactive online planning tools, to assist you with organizing your event. Along with a "Most Requested" section in our Music Database, to help you select songs for your event. Entertainer will arrive at least one to two hours ahead of scheduled time for set up and sound check. We assist and coordinate with your vendors, to make sure your event goes as smoothly as expected! 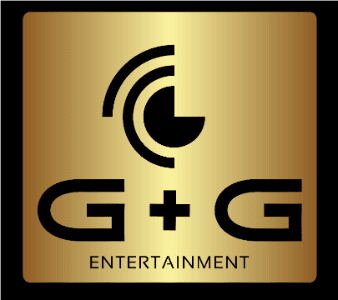 Your party is guaranteed to be memorable if you put G and G Entertainment in charge of the music. For many years now, we have been encouraging people to have fun, dance, and bring down the house. We always find the right sound for weddings, birthday parties or business events. Our repertoire ranges from Classic party hits to today's Top 40. We mainly perform in Deland, FL and the surrounding areas. We do not see ourselves as just DJ's. Due to our many years of experience in this industry, We have been at countless parties and can provide valuable advice on organizing and planning your event. Just contact us. We would love to meet with you to discuss your special event plans.